It was a very busy morning and we had some minor issues to handle. In general I do enjoy a busy morning and may be one of those who actually look forward to you an exciting, eventful and loaded work day rather than to just sit in the office waiting for the day to end. Yes, I love my job and that is why I enjoy busy mornings. By now smart money has given up on positive developments out of the U.S., especially when it comes to the financial system. 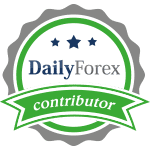 They have ruined their system to the point it is worth less than that of a third-world country and all non-U.S. brokers are forced to treat U.S. traders are less than those traders from the bottom of the totem pole. All of those acts and reforms have made the U.S. financial system less competitive and despite the fact that Glass-Steagall was put together by the socialistic pesticides it was one of their own, former President Bill Clinton, who declared in 1998 that the Glass-Steagall Act was no longer valid. Dumb money cites the abolishment of Glass-Steagall as the source of the financial crisis; a claim as pathetic as their moronic attempts to navigate through financial markets. Now it is another one among their own ranks, socialist scum Senator Elizabeth Warren, who wants to bring back the Glass-Steagall Act. In other words she wants to re-create the financial system the U.S. had back in 1933. The rest of the world innovates and evolves while the U.S, made it a mission to kill innovation and devolve while still screaming ‘We are number one!’. Being a New Yawker, this really strikes hard and it strikes home. The socialists ruined the financial system and continue to cause to bleed to death in the streets while it forces tax payers to pay for their pathetic stupidity and now they want to put the U.S. back 80 years. It appears the Senator McCain has given up on the country and actually supports it. Of course he would, he was alive when the 1933 bill was introduced. 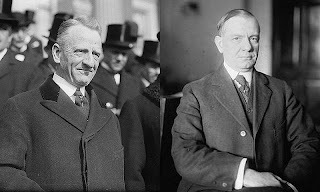 What is the Glass-Steagall Banking Act of 1933 (do not confuse it with the Glass-Steagall Act of 19332)? The Glass-Steagall perversion only covered banks who were a member of the Federal Reserve System and as always with those socialistic pricks they create a two tier system and force smart money to innovate or leave the system altogether which explains why London became the financial capital of the world in early 2000 and replaced New York. I am scratching my head and laughing at the same time as this socialistic joke by a lousy excuse of a Senator. It will tear apart the economy even further and clearly shows that the socialist bastards did not understand the problems which caused the collapse of the financial system and that they are charging after the wrong sectors. Sections 16 and 21 are still intact, but the Gramm-Leach-BlileyAct or the Financial Services Modernization Act of 1999 repealed Sections 20 and 32. Now the socialistic pricks want to turn back the hands of time and ensure that every other country will frown when they hear about the U.S. financial system and doing business together with them. It will also continue to force talent out of the country and overall decreases the available talent pool for vital positions which means that moronic feces like Bernanke will run the Federal Reserve. It is a downward death spiral which will lead to the total collapse of the U.S.